Don’t stress over your Azure cloud resource maintenance. We’ve got solutions that’ll help you cut costs and maximize your cloud potential. AP Elements AIR helps you identify VM sprawl in Azure to create massive reductions in overall cloud costs. Automate classification across your Azure environment to detect and resolve zombie VMs. Know where your money is going. 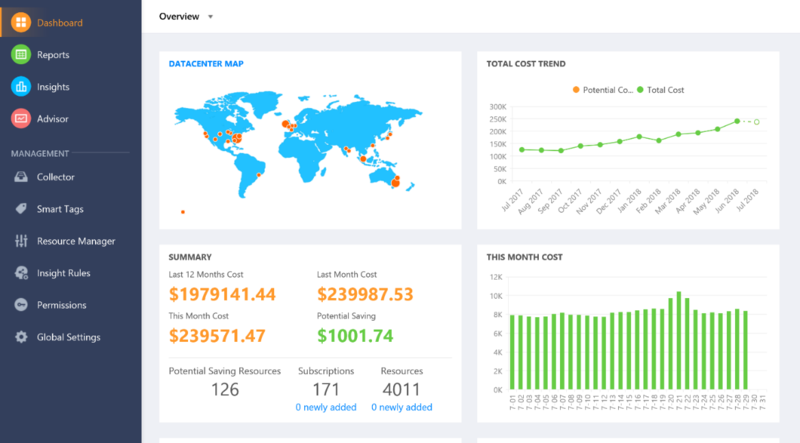 Understand your Azure cost allocation by resource using customized dashboards and charts that display your datacenter map, cost summary, total cost trend, and resource type cost. Analyze the details. Produce various detailed reports from built-in or custom templates on Azure resource consumption, such as VM report, Cost Changes report, Department report, etc., by filtering or drilling down to the aspects you care about the most. Get it sorted. Categorize your subscriptions and resources by adding smart tags. Real-Time tracking. Collect your cost data in real-time based on custom time ranges, tags, and enrollment names in collector rules. Set your own rules. Choose built-in insight rules to manage your budget better or customize new rules to meet personal requirements. Keep it inside the border. 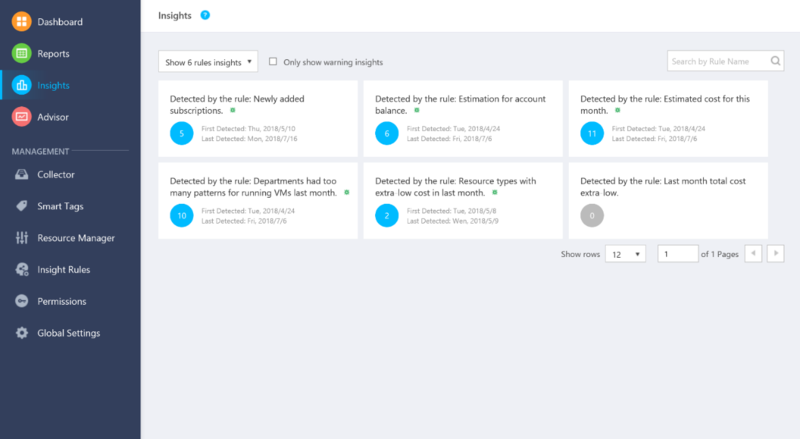 Detect and warn if very high or very low-cost thresholds are met for resources, subscriptions, datacenters, and resource types, and group these alerts by the respective Insight rules. Make predictions. Estimate monthly costs of your resources and the date when your balance will run out. Stay in the know. Send automated alert emails to stakeholders when insight rules are broken. Understand your Azure cost allocation – by date, area, or tag – with graphical dashboard and chart displays. 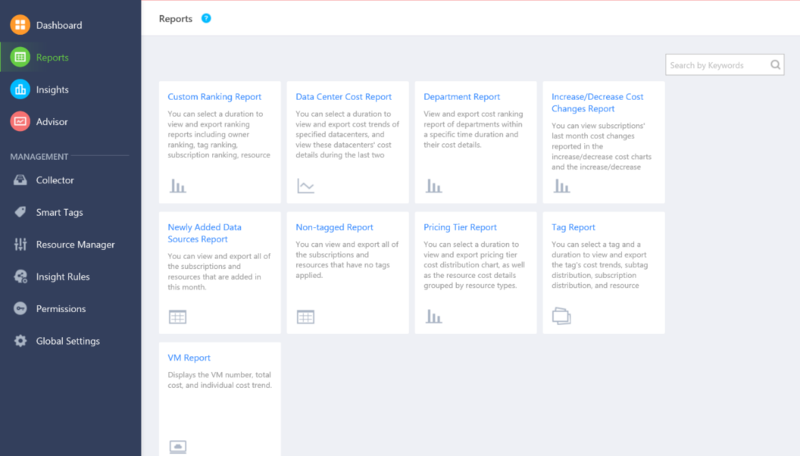 Simplify resource tracking by adding smart tags, and with real-time cost monitoring. Customize your tags and data collection rules to map to your business requirements. Get notified as you approach budget or reach consumption limits. Set rules to be the first to know of any new Azure insights or developments, and improve your prediction power for cost planning. Simply log in AIR with your Azure account and get an overview of your Azure usage and cost. Get more details by analyzing Azure resource consumption from different aspects. Customize insight rules and get warnings and information regarding consumption, prediction and any changes. 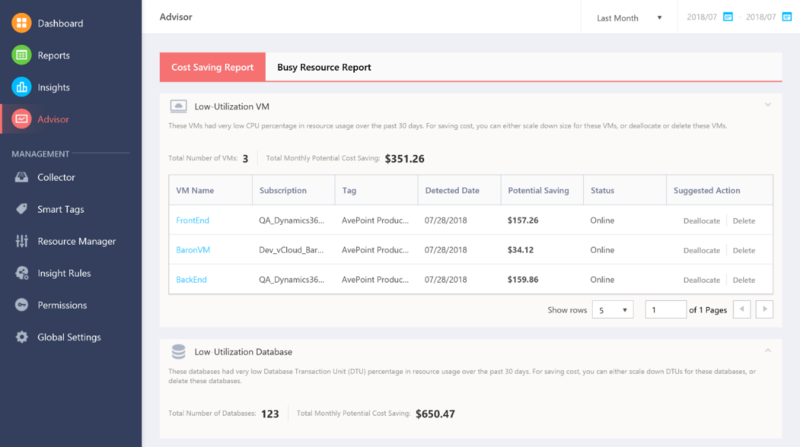 Generate an overview of usage percentage of both your low-use and busy VMs and Database and give you suggestions to deallocate resources for cost-effective.